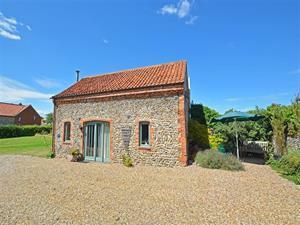 The Little Barn01263 715779work01603 870304fax Self-cateringField Dalling is a pretty rural village but within easy access to the coastal villages and wide sandy beaches of the North Norfolk coast. The Georgian town of Holt is a few minutes drive away, with lovely independent shops, restaurants and pubs. The Little Barn has plenty of character whilst retaining the comforts needed for a relaxing break. • Mobile signal - weak. The Little Barn offers weekly bookings starting on Saturday. Field Dalling is a pretty rural village but within easy access to the coastal villages and wide sandy beaches of the North Norfolk coast. The Georgian town of Holt is a few minutes drive away, with lovely independent shops, restaurants and pubs. The Little Barn has plenty of character whilst retaining the comforts needed for a relaxing break.